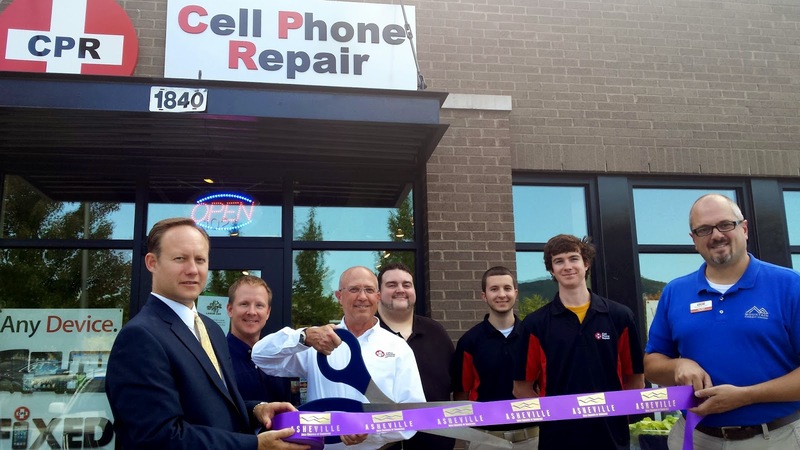 CPR Cell Phone Repair is now open in South Asheville’s Gerber Village. With a skilled team of experts, CPR offers a wide range of mobile device repairs such as cracked screen repairs, charging problems and water damage. CPR Cell Phone Repair is the nations leader and largest retail cell phone repair business. They repair all types of electronic devices including all makes of mobile phones, iPhones, tablets, iPads, computers and game consoles—with all repairs made on-site, usually within hours. CPR Cell Phone Repair is open from 10:00 a.m. to 7:00 p.m. Monday through Friday and 10:00 a.m. to 5:00 p.m. on Saturday. CPR has trained technicians and offers free estimates and walk-in repairs. More information on CPR Cell Phone Repair can be found at www.cellphonerepair.com/south-asheville-nc/.